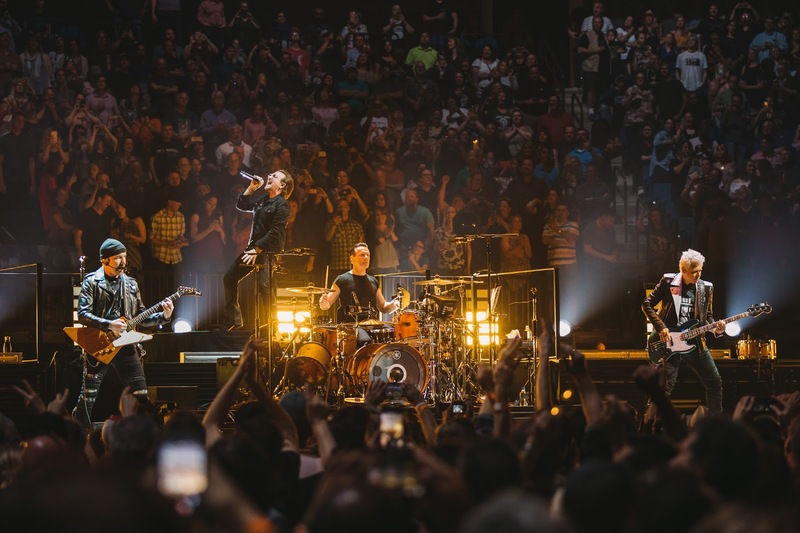 U2 launched their Experience + Innocence Tour at the BOK Center in Tulsa, OK on May 2, and the group are streaming video from opening night online. Following 2017’s trek celebrating the 30th anniversary of “The Joshua Tree”, Rolling Stone reports one of the biggest surprises of the evening was that the group did not perform a single song from the landmark record after being the backbone of their live shows for decades. U2’s 27-song set began with Bono standing alone in the middle of the translucent video wall singing the live debut of "Love Is All We Have Left," the opening track from 2017’s “Songs Of Experience.” Fans were encouraged to watch the performance on their cellphones via the band's new app for an augmented reality moment that created a giant, ghostly image of the singer. The production for the 2018 run features the same stage from the band’s 2015 Innocence + Experience tour, which separates the arena into two halves with an immersive video screen the band literally enters. The North American leg of the Experience + Innocence Tour wraps up in Uncasville, CT on July 3, following which U2 will play a series of fall European dates starting in Berlin, Germany on August 31.